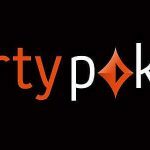 Party Poker has launched five major promotions to tempt players to the site before and during its forthcoming PowerFest tournament series. 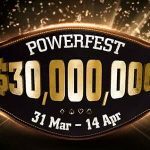 Although not all the promotions relate directly to the PowerFest series, we calculate the promotions are worth more than $½ million in added value. Three weeks ago, PokerNewsReport was one of the first sites to bring readers the news of Party Poker´s biggest ever PowerFest Series. At the time the article was published, the promotions supporting the series were yet to be announced. We wrote that we expected them to be bigger and better than ever before, and now details of the promotions have been released, our prediction was spot on. Details of five PowerFest-related promotions have been rolled out over the past couple of weeks (there may still be more to come), with the first of them starting last Tuesday (details below). 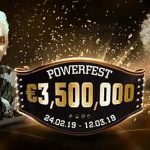 They will appeal to every type of poker player and every type of bankroll, and – combined – we calculate they add an extra $½ million in value to the $60 million guaranteed PowerFest series. Party Poker´s special edition Sit & Go jackpot games are the same as the site´s regular three-handed, hyper-turbo games, but instead of spinning a random cash prize multiplier before the start of each game, the random prizes are $5.00 cash, $10.00 cash, or PowerFest entry tickets with values between $27.50 and $5,200.00. Each game costs $2.50 to enter, and this promotion is already underway. 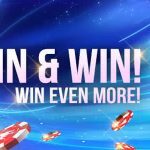 This promotion is really just an extension of Party Poker´s current MILLIONS Online weekly leaderboard competition that has been running since March. The only difference is that, throughout the three weeks of the PowerFest series, cashes in both PowerFest tournaments and Power Series tournaments will count towards each player´s position in the $60,000 weekly MTT leaderboard competition. Points in the leaderboard competition are allocated at the rate of 1 Point per $1.00 contributed to the rake. Party Poker´s Power Hour promotion will be of particular interest to cash game players keen to boost their points totals in the site´s Cashback program. From Sunday 2nd September until Sunday 23rd, all Cashback Points earned playing cash games and FastForward games will be doubled between 3:00 pm and 4:00 pm on Sundays (all times BST), and between 5:00 pm and 6:00 pm on other days of the week. Unfortunately, players in France and Spain will be unable to take part in the PowerFest Series or any of its promotions. Instead, the French and Spanish platforms are hosting a K.O. Series with €1 million in guaranteed prize pools spread across 115 events. The series runs from 26th August to 3rd September and will feature five Main Events on the final day of the series with buy-ins ranging from €2.20 to €250. Considering you rarely see more than a couple of hundred players on the French/Spanish site, the guarantees are pretty generous – typically 1,000x times the buy-in. Although Party Poker includes the bounties in the advertised guarantee, there is still likely to be some exceptional value next week if you happen to be in France or Spain and fancy warming up your skills for the forthcoming PowerFest series.